I am so excited about this project that I have to post a few pictures now. I will post a full tutorial later because I took several pictures along the way, but for now here are just some Before and lots of After shots! My mother-in law was getting rid of this coffee table. It is solid wood and originally from Ethan Allen so I knew it was a quality piece of furniture. It just needed a little makeover for our house! 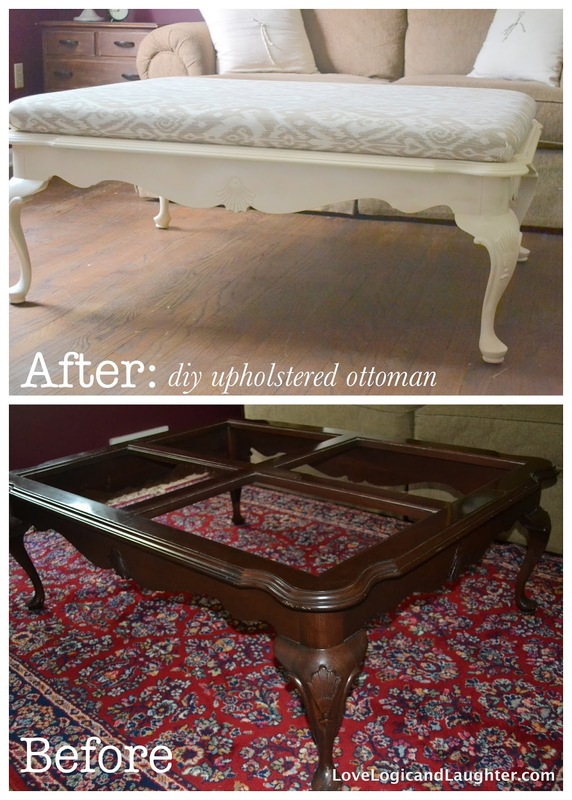 I have been wanting to make an upholstered ottoman from a coffee table for a long time. I have been inspired by others and have several of these inspirations pinned on my pinterest page. Next project in this guest bedroom: Paint the walls!